Established in December 1989 at No. 533, Tzuli 2nd St., Wuchi Town, Taichung County, Taiwan (Kuan Lien Industrial Area), we handle metal forgings and adhere to ISO9001:2000 QC standards to enhance competitiveness and product quality. Continually upgrading corporate efficiencies is key to sustainable business. Featuring four 650-ton forging facilities with progressive dies for fully automated production, we became ISO9001:2000 certified in August 2004. 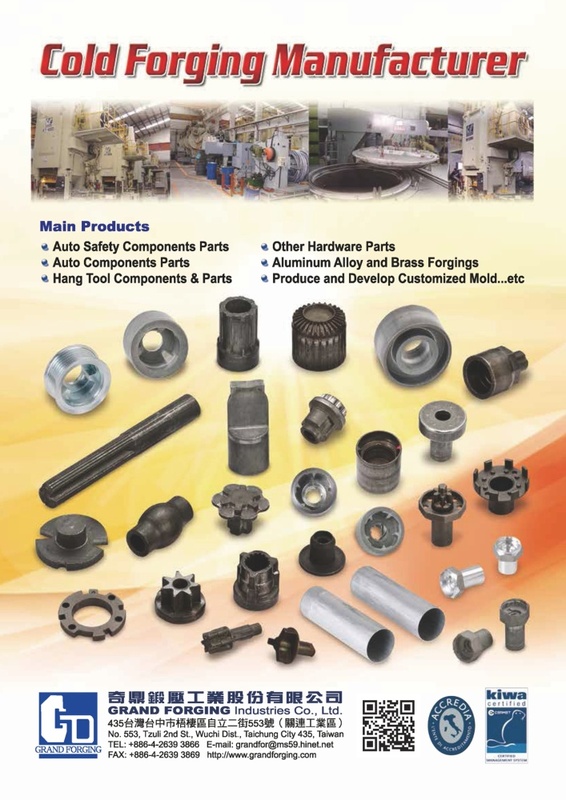 We supply forgings; and manufacture and process parts for autos/motorcycles, machinery, bicycles, hardware items, and tools. In recent years, our main products are auto airbag parts. We prioritize product quality and on-time delivery, enabling customers to fully trust us.